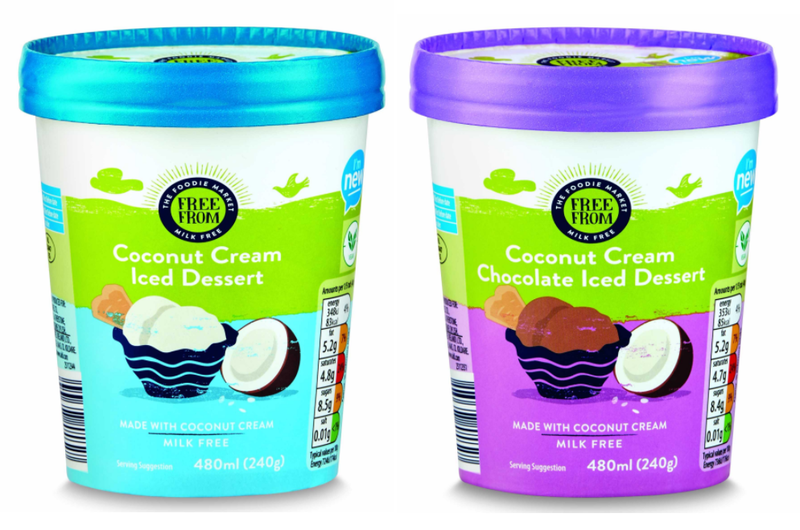 Just in time for World Vegan Day, Aldi have launched dairy free ice cream, which is also an absolute bargain. Not only is this treat perfect for vegans, but it’s also been welcomed by hundreds of lactose intolerant people across the UK. You better grab a spoon as there are plenty of flavours to try, from coconut cream to chocolate. If this news wasn’t good enough, as an added bonus, the ice cream tubs are also only £1.99 each and are all gluten-free too! Made from coconut cream, the exciting new release sent Twitter into a frenzy. Big shout-out to my local Aldis for saving the day with Vegan ice cream! Vegan pals this is so fit and on offer in Aldi at the moment. I reckon this won’t last long on our supermarket shelves! Aldi’s own brand is a much cheaper alternative to Ben & Jerry’s scrumptious vegan ice cream, which was launched two months ago. The cult ice cream maker released their dairy-free tubs in September to the applause of vegans everywhere. Two of the options are based on absolute classics, Chunky Monkey and Chocolate Fudge Brownie and there’s also a dairy-free exclusive,… Peanut Butter & Cookies. 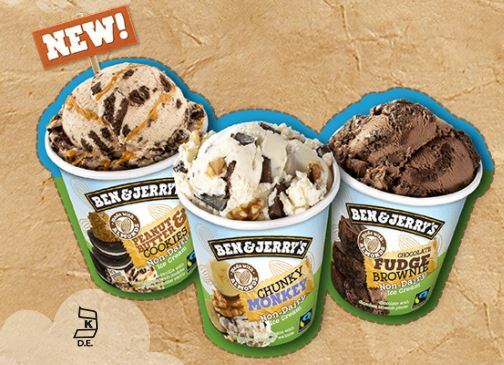 Chunky Monkey is banana flavoured ice cream with chocolate chunks and walnuts thrown into the mix and Chocolate Fudge Brownie is a chocolate combination of ice cream and brownies. While new kid on the block, Peanut Butter & Cookies, is vanilla ice cream with chocolate cookies and peanut butter swirls. They all sound mouthwatering and dreamy! Unlike Aldi’s versions, these ice creams are made from almond milk and like all of Ben & Jerry’s products, are fair trade. 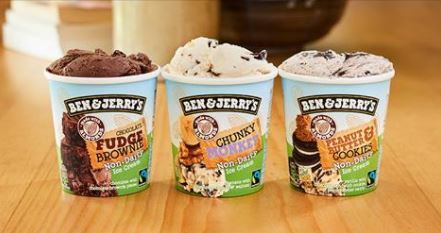 The three flavours are available in most supermarkets and on the Ben & Jerry’s website there’s even a handy store locator so you can track the tubs down. They will cost you a pricey £5.99 per tub but I think it’s totally worth it! If you fancy something cheaper, don’t forget about Aldi’s tubs. Also celebrating World Vegan Day is Baileys, every person’s favourite liqueur – whether they admit to it or not – who doesn’t enjoy a tipple at Christmas. Launching a dairy-free and gluten-free version of their famous Irish cream liqueur, Baileys have just changed the game, making it from almond milk. Named Baileys Almande, the drink is made from almond milk, almond essence, cane sugar, purified water and real vanilla – it’s been out in the US for a while. However, the brand is ready out to roll out bottles in a nationwide launch, which will take place in the UK later this year. They better hurry up as I need a taste of this!